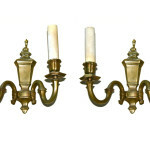 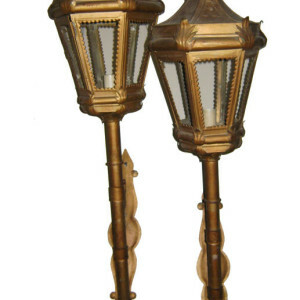 Pair of gilt wood and metal torch sconces with original finish and patina. 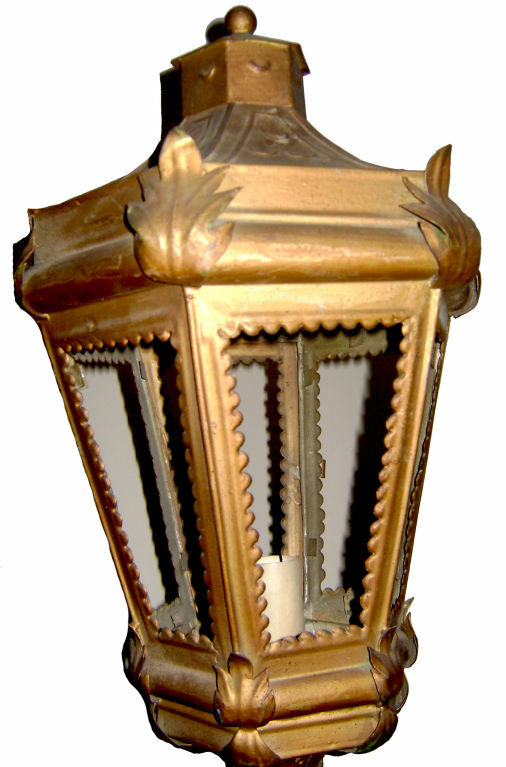 Interior light. 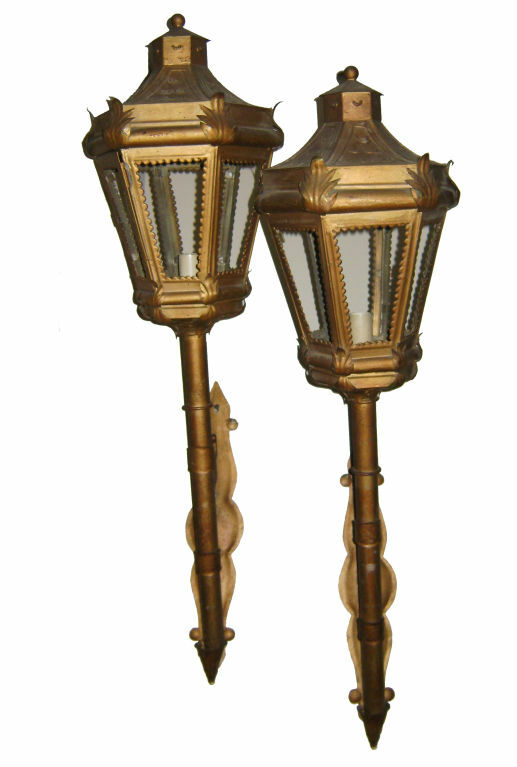 A set of four circa 1920's English neoclassic style carved wood and bronze three-arm sconces. 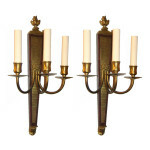 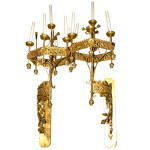 Measurements: Height: 17" Depth: 5.75" Width: 8.25"
Pair of early 1900s Italian gilt iron gothic style torchieres with 7 lights each, an open-work body and foliage motif on arms in its original gold leaf finish. 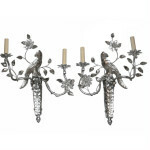 Measurements: Height: 68" Depth: 33" Width/length: 21"